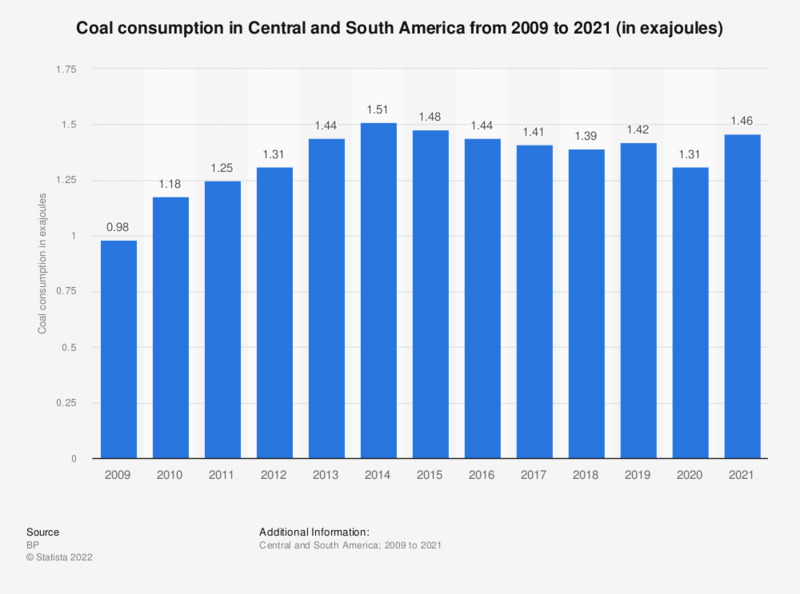 This statistic represents the consumption of coal in Central and South America between 1998 and 2017. In 2017, this region’s coal consumption came to around 32.7 million metric tons of oil equivalent. According to the source, the data only include solid fuels, i.e. bituminous coal and anthracite (hard coal), and lignite and brown (sub-bituminous) coal. * Figures for 2007 to 2016 were restated in the 2018 edition of the report.